now includes world’s smallest and thinnest*2 light-powered ladies’ watches. 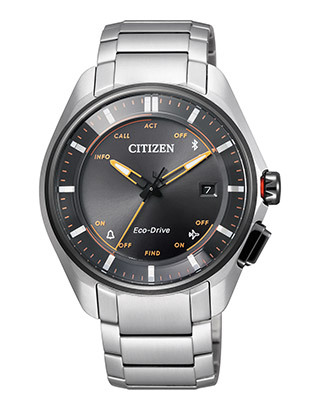 CITIZEN is proud to announce the addition of ten new models to its Eco-Drive Bluetooth series. 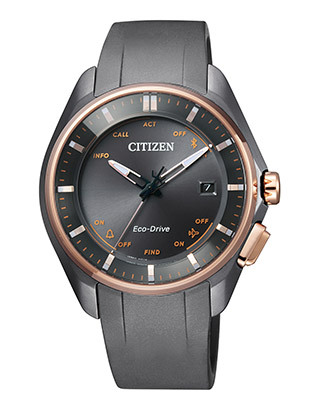 All Eco-Drive Bluetooth models combine connected features such as smartphone call or text notifications with the style and precision of fine analog timepieces. 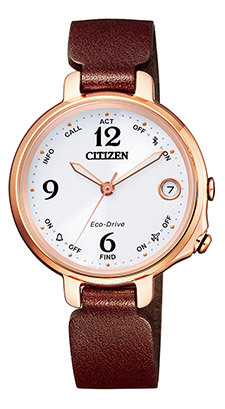 Since the launch of the first model in 2012, CITIZEN’s Eco-Drive Bluetooth watches, with its sophisticated design, have captured a unique position in the market for smart analog watches. 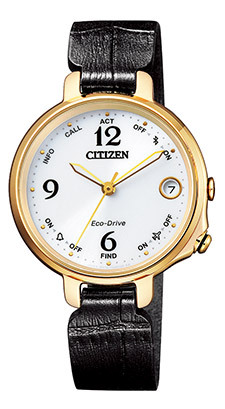 One reason is CITIZEN’s proprietary light-powered technology Eco-Drive, which frees users from worries about changing batteries or daily cable charging. The CITIZEN smart phone app also makes it easy to sync to correct time anywhere in the world and set alarms with intuitive operation. 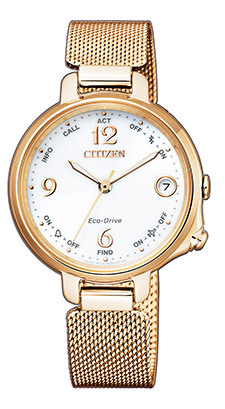 The CITIZEN Eco-Drive Bluetooth ladies watch —featuring a modern design with slightly retro feel, accented in light and cheery color variations is inspired by the woman who feels confident about her future and enjoys being herself. - Features six functions, which were selected on the basis of careful research into the preferences of working women in their 30s around the world. - Users can select custom notification sounds—a world-first function for light-powered Bluetooth watches. - Offers 15 different original sounds exclusively prepared for the W410 model. - Simple dial design with a touch of retro feel shows functions as icons rather than words. - User interface features white background for better readability and a power reserve indicator. Connection indicator shows the state of the connection with the wearer’s smartphone. The new unisex Bluetooth watch featuring the W410 movement and Super Titanium™ inherits the design concept of previous popular W770 model. A traditional analog watch dial gives a true 3-dimentional look, plus a new dial layout provides improved visibility. A concentric pattern surrounding a small dial represents the radio waves used by Bluetooth. *1. 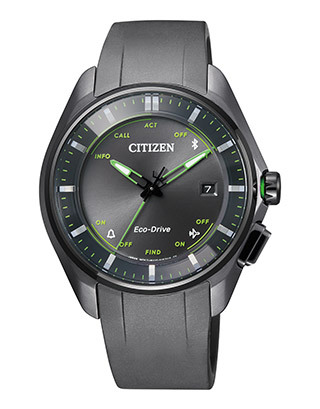 Eco-Drive is CITIZEN’s proprietary technology that powers watches using any natural or artificial light source, eliminating the need to replace batteries. 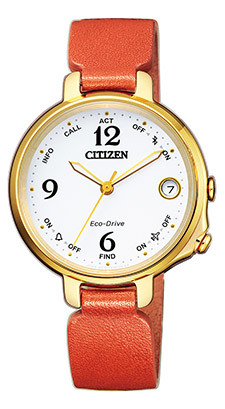 Certified as an Eco Mark product for the first time in the watch industry. *2. As of February 2018. Surveyed by CITIZEN. *3. uratect is surface hardening technology exclusively developed by CITIZEN to maintain the luster and beautiful finish of watches. Treating materials such as titanium and stainless steel with this technology improves the hardness of the material’ s surface, making watch cases and bands resistant to scratches. Duratect DLC achieves Vickers hardness of 1,000-1,400 by coating an amorphous carbon hard film—mainly composed of carbon and hydrogen—on the surface of the material. *4. 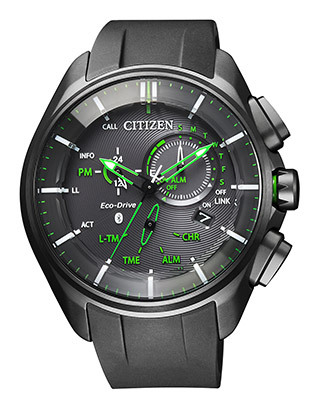 Light Level Indicator shows how much power the watch is generating through CITIZEN’s proprietary Eco-Drive technology. Cal. W770 detects the volume of light the dial is receiving and shows how much power the watch is generating on a daily, weekly or monthly basis as a graph on the linked smartphone. *5. Power reserve indicator displays the remaining power of the secondary battery used for Eco-Drive. 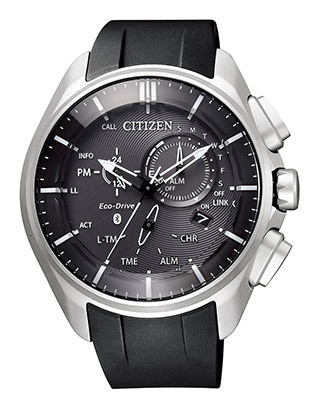 CITIZEN WATCH,, marking its 100th anniversary in 2018, is a true manufacture d'horlogerie with a comprehensive manufacturing process that extends from creating a watch’ s individual components to its final assembly. The company operates in more than 130 countries around the world. 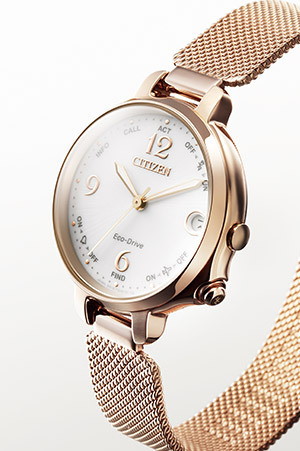 Since its founding in 1918, CITIZEN have held the belief of “Better Starts Now” — that is, no matter who you are and what you do, it is always possible to make something better, and now is the time to start doing it. Sharing this belief, we have made watches, invented and improved technologies and explored the future of watches such as our proprietary light-powered Eco-Drive technology and state-of-the-art satellite-synchronised timekeeping. 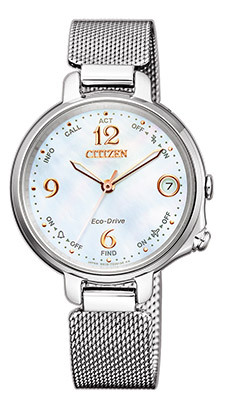 *Eco-Drive is a registered trademark of Citizen Watch Co., Ltd.
*The contents are based on the information as of the date of issue of this release. The final design and specifications, product prices and launch timing are subject to change without notice. *The availability, specifications and related information such as product code for the models featured in this site, may vary by markets If you would like to know more details, including the availability of this products in your area, please select your "Local Website" from our global site.